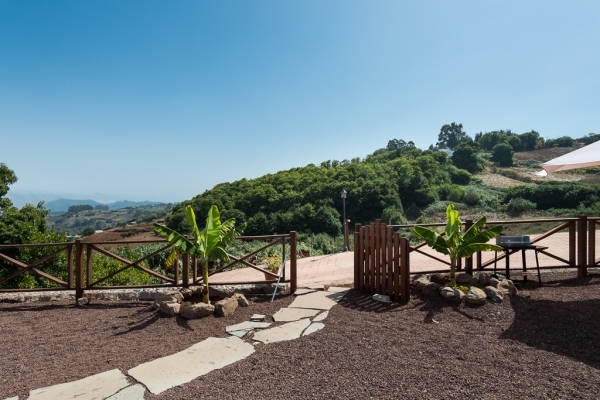 Farmhouse in Doramas Rural Park. 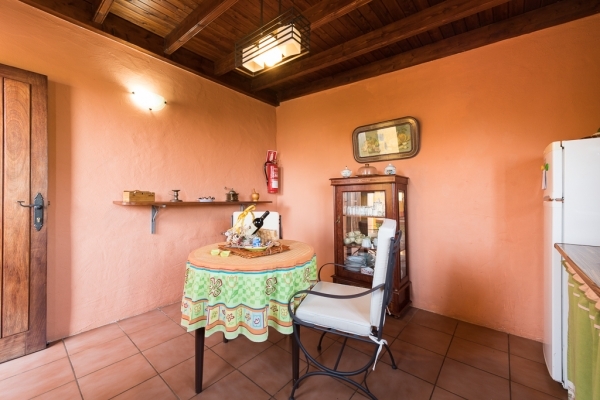 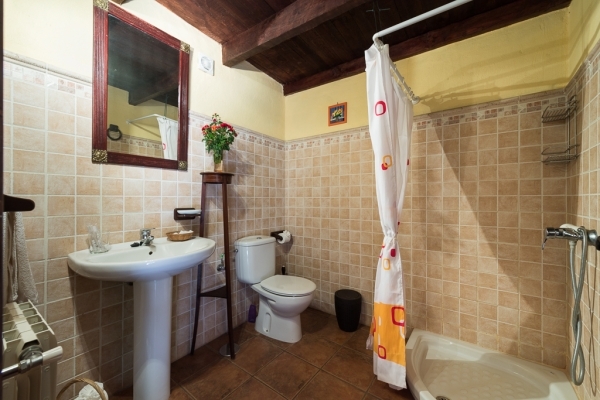 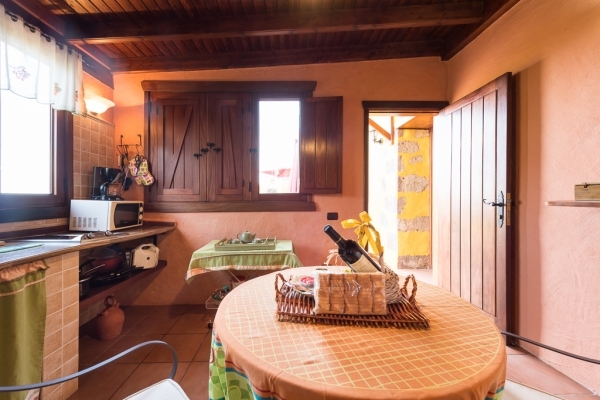 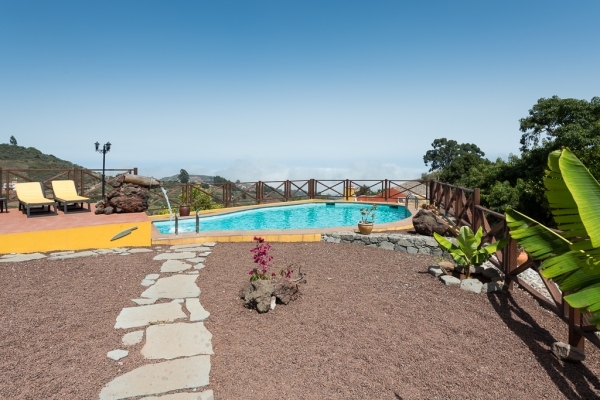 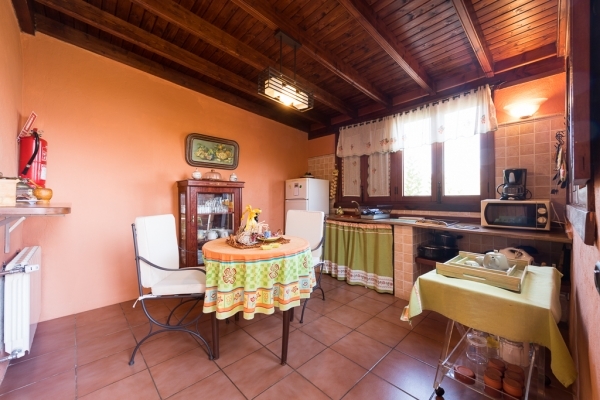 Typical Canary Island house decorated with all the comforts and located in a spacious estate with its own vegetable garden and independent terrace. 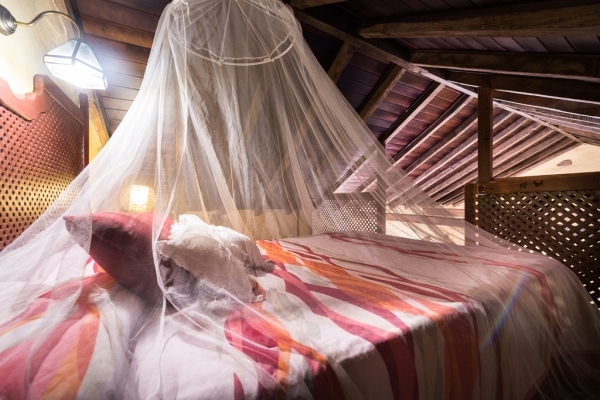 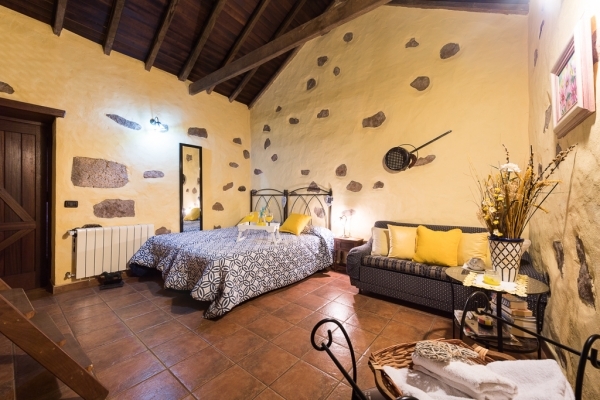 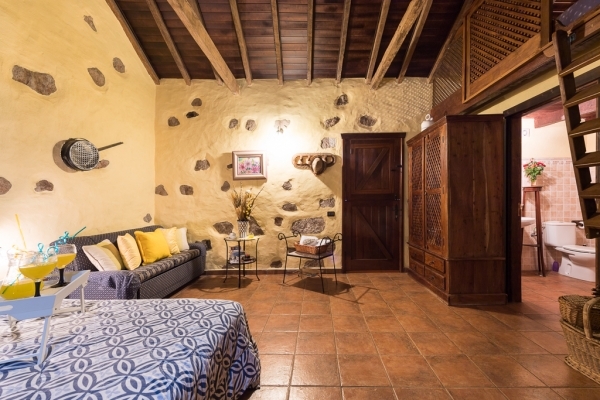 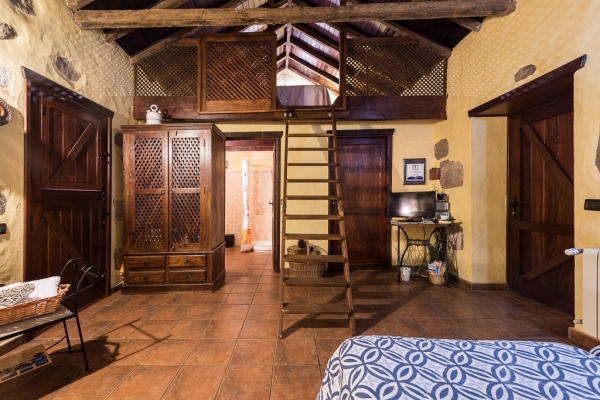 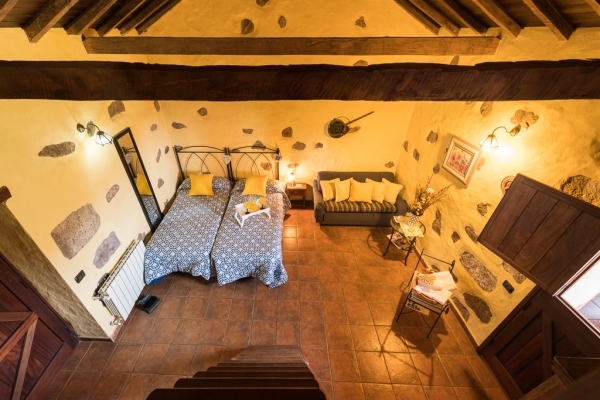 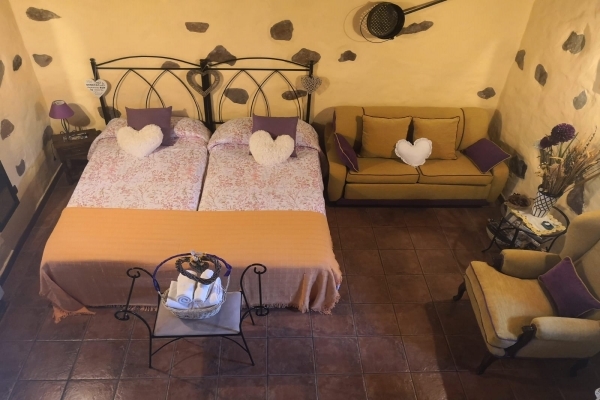 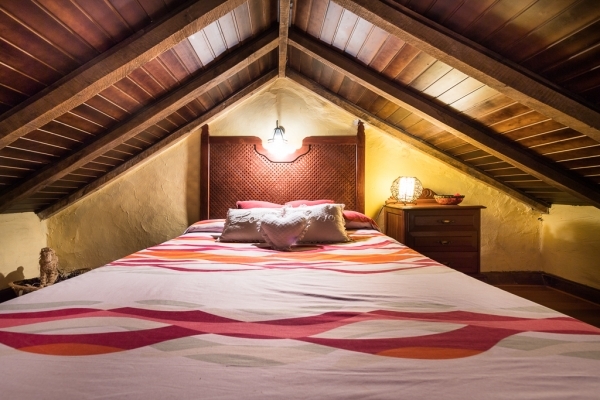 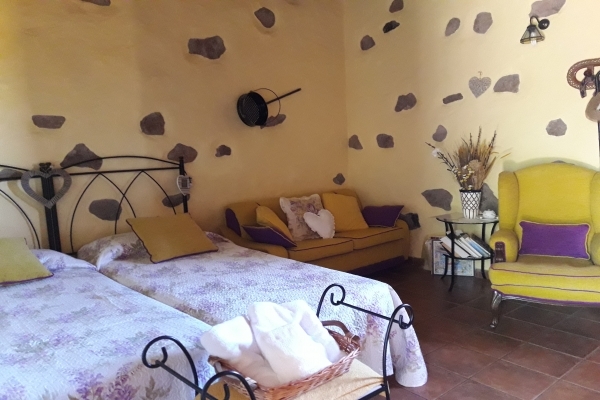 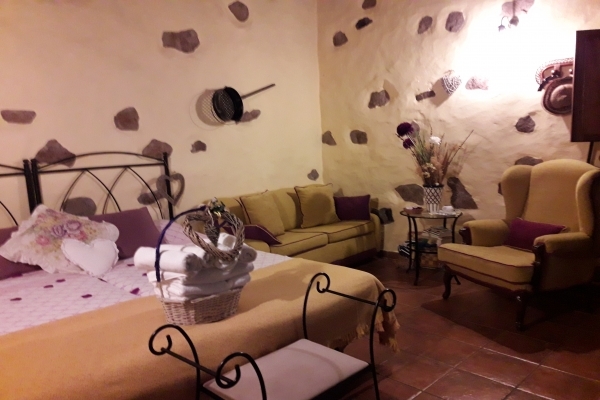 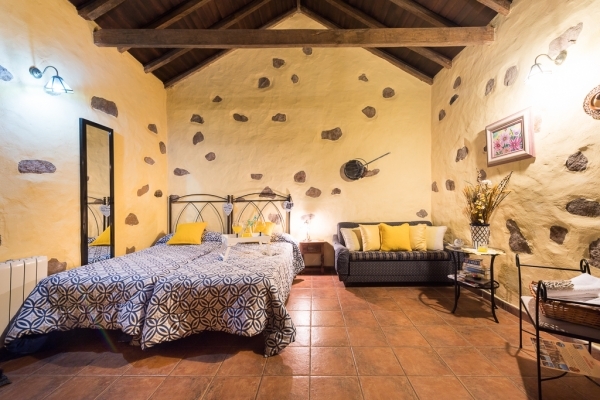 Natura Canaria was restored with traditional elements of canary rural world and set up with all comfort to enjoy comfortable and peaceful holidays. 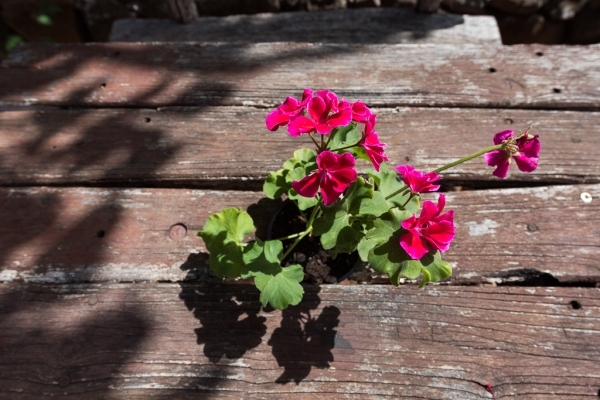 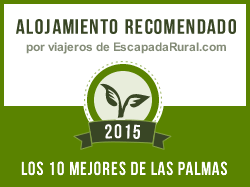 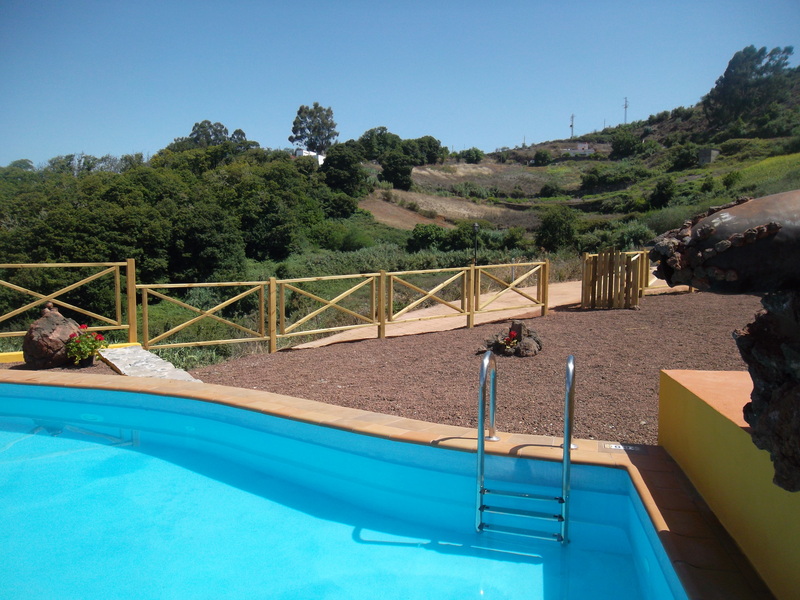 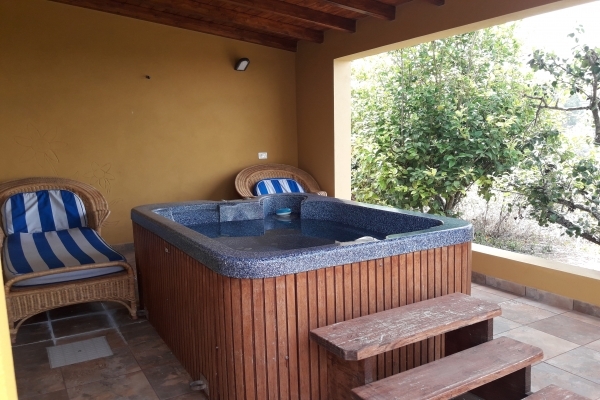 You are surrounded by nature and from the houses you can enjoy an excellent panoramic view and to some farming fields. 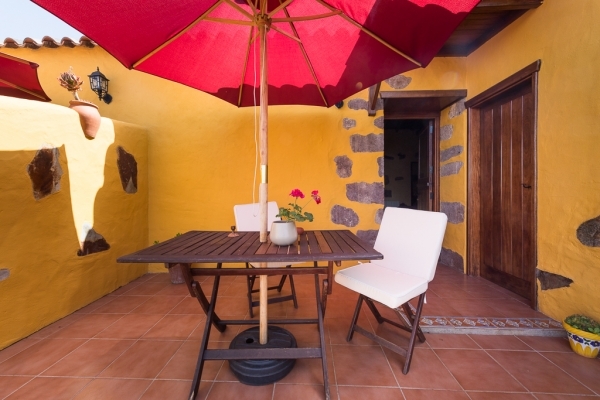 Today, the house has been fully restored, preserving its original structure and is an ideal place from which to discover the areas of Juncalillo , Fontanales , Artenara , a very good starting off point for excursions to La Cumbre de Gran Canaria. 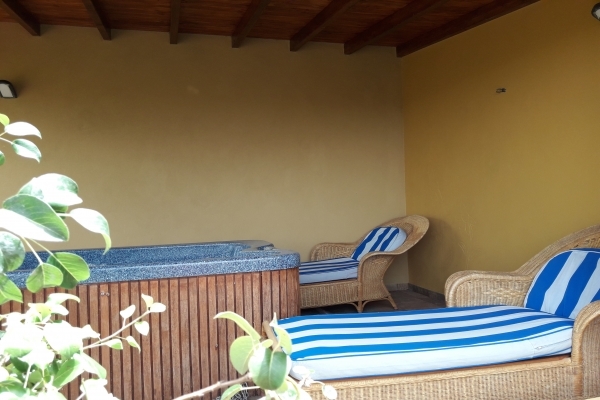 This is the ideal place for rest, getting away from it all, rediscovering yourself, celebrating, making friends and having fun. 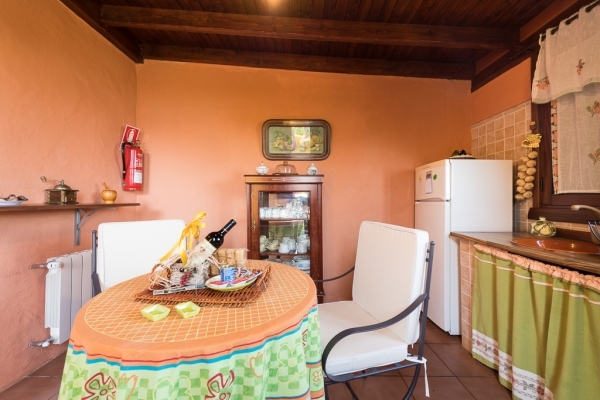 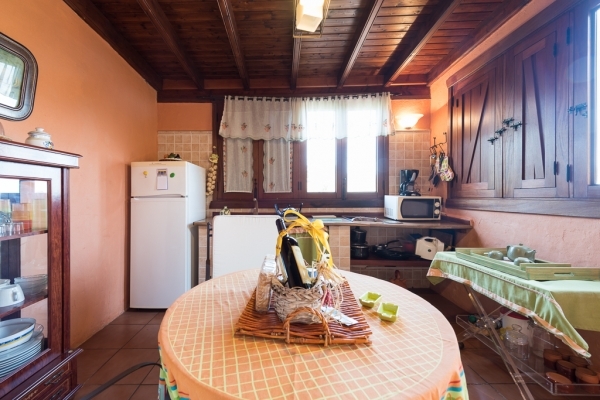 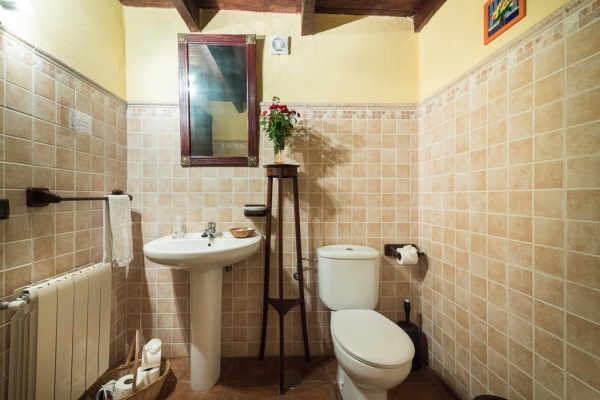 Equipped kitchen (microwave oven, ceramic glass hob, refrigerator, electric coffee maker, toaster, and kettle), full bathroom with hairdryer, lounge-dining room with bed settee, satellite-TV, music centre with CD, central heating, safe, washing machine, WIFI dryer and ironing system. BBQ area, solarium and swimming pool.Optional sauna Parking. 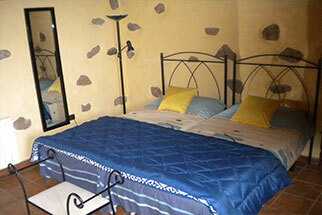 Bicycles. 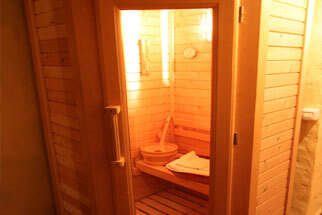 Optional sauna and jacuzzi. 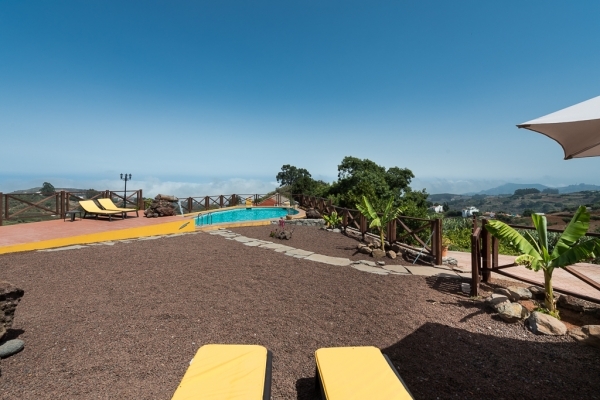 Sun-beds and umbrellas included.